Content: The book consists of a series of addresses given by Moses in the plains of Moab prior to their entering into Canaan, as well as some specialized regulations and the appointment of Moses’ successor, Joshua. In Moses’ addresses he summarized the events that led up to that day, exhorted the people to faith and obedience, called the Israelites to rededicate themselves to the task God had given them, and then led them in worship and song. After the appointment of Joshua, Moses left the people and, after viewing the Holy Land from afar one last time, he died. With Moses’ death the old order passed away and the destiny of Israel moved into the hands of the next generation. In Deuteronomy chapter 1 verse 1 today we read: "This book records the words that Moses spoke to all the people of Israel while they were in the wilderness east of the Jordan River." 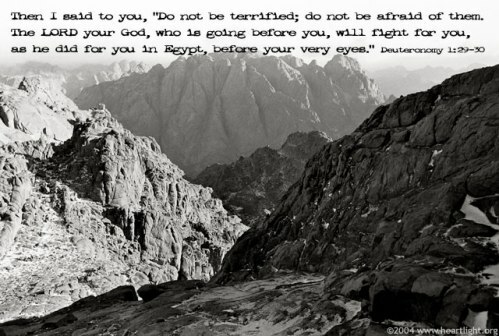 This image below sets the stage incredibly well for the book of Deuteronomy! 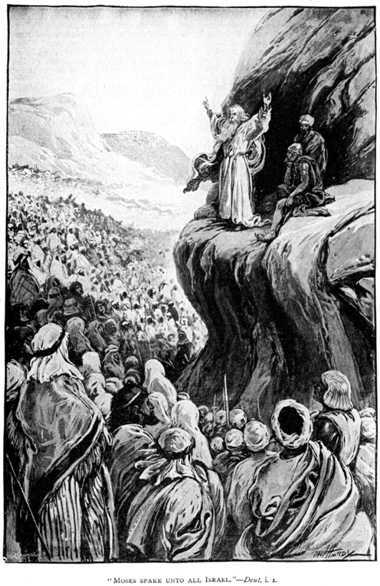 Here is Moses giving the address to the Israelites! 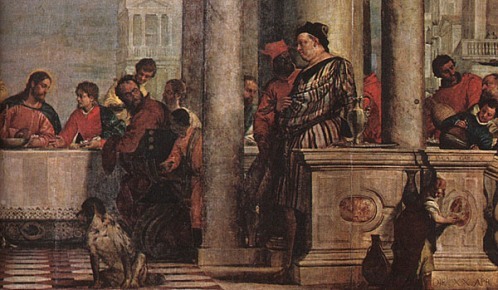 Bible.org's commentary on Luke chapter 5's readings today titled "On Eating, Drinking, and Being Merry" is at this link, and commentary on Luke chapter 6's readings today titled "The Great Sabbath Controversy" is at this link. Proverbs - Today in Proverbs chapter 11 verse 24 we read – “One person gives freely, yet gains even more.” Do you give freely? Do you give often? Do you believe that by giving freely you will ultimately gain even more? I do believe this Proverb is so true. I heard a very inspirational speaker recently talk about how she was diagnosed with a chronic disease and how she became completely depressed. But, she somehow found the courage to begin giving to others in need in her community and she found that her life was completely transformed by simply giving. She was no longer depressed about living with the chronic disease, but found herself happier than ever before. Simply because she chose to give freely. How might God be calling you in your life to give more freely than ever before? Is it maybe by tithing to your church? Is it maybe by volunteering at a local charity once a month? Is it maybe by going to serve in another part of the world? Can you find the courage to give freely? 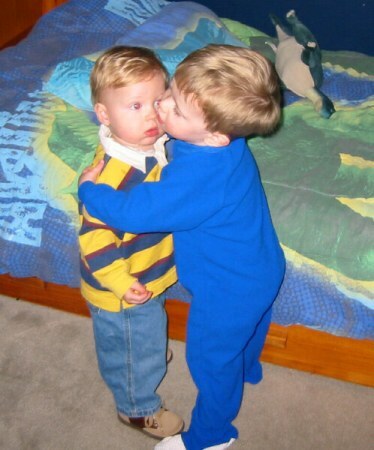 Who can you give a hug to freely today like this young man below is giving? Worship God: Psalm 66 verses 1 & 2 today remind me of Delirious' song "My Glorioius:"
Do you know your Glorious? Click here for Glory! Prayer Point: Pray that you realize that you are sick and in need of Jesus' healing. Pray that you have or will repent of all of your sins. Pray that you always recognize your need for Jesus. Comments from You & Questions of the Day: (tangential questions here based on this awesome image above... :) How often do you give hugs? Who was the last person you gave a hug to? Can you give someone a hug today? Do you think giving hugs (or receiving hugs) is important? Are hugs Biblical? :) (okay, now I've gotten silly, but what do you think - can you think of some hugs in the Bible??) Also, what verses or insights stand out to you in today's readings? Please post up by clicking on the "Comments" link below! Again, we have God giving a personal answer to a dilemma the tribe of Manasseh found themselves. 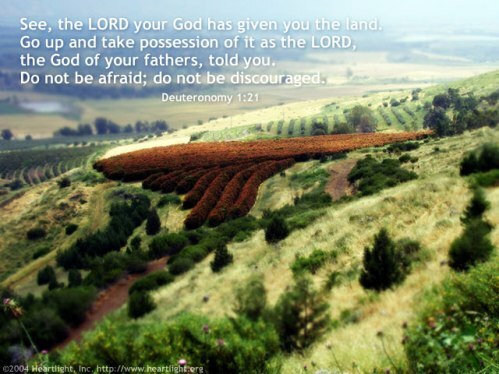 Valuing their inheritance, the land that God had given them, they approached God about keeping the land inherited by Zelophehad’s daughters in the family. God is interested in all our concerns. Let us not think anything is too small to bring before Him. Every time I read this passage, I am amazed at this miracle, taking forty years to do on an eleven-day journey. Now, that is some miracle. Sometimes, probably more times then we would care to admit, claiming our Promise is delayed by us, our own behavior; and before we can cross over the boundary line to get in, a lot of things in our lives must fall off as we amble in the wilderness making an eleven day trip into an extended vacation of forty years. Mike—Your question about “Hugs,” giving them and probably receiving them, has hit a sore spot with me. I am a closed person only giving and receiving hugs from designated people, people who I have mentally cleared as appropriate to receive and give hugs too. I have given hugs to complete strangers after hearing from the Holy Spirit to do so but I always ask permission. My aversion to “hugs” stems from two things, 1) my background—grew up with a lot of sexual abuse in home and in church. 2) Recently in my adult “role,” I attended a church on Tuesdays for Bible Study and ministry after work that always believed in hugging people. I decided to try to break my aversion to hugs there; however, predators were rampart there also (both male and female). Until I learn how to follow my instincts about how much closeness to allow some folks without fear of reprisals from the crowd (I always sensed who I should or shouldn’t allow to hug me and who to hug yet I allowed peer pressure to override my sense of danger). Interestingly I’m now finding out that this particular church knows there are a lot of predators in their midst because they are in the Times Square (NYC-USA) area, yet they continue to promote the group hug thing. I realize that this is my own issue that needs to be healed, so for now, people can pass on my hugs through my designated huggers. The book of Numbers is ALL about prepairing the people of Israel to enter the promise land. "And the LORD spoke unto Moses saying:" this is the most often repeated verse in this book. The census is taken several times to number the fighting men, the Levites to work in the temple and the leaders of the tribes are selected. The Levites are the only ones permitted to hold the holy things. The offerings, feasts and Israel gatherings at the temple are reviewed once more. The people were to follow a cloud by day and a fire by night to lead there way. The people try to invade Canaan without the blessing of GOD and are defeated. The people complain about only having Manna to eat, God wants to destroy them but Moses intercedes and the people are spared. The LORD gives Moses various laws regarding justice for the people to live by and follow. Moses and Arron are NOT allowed to enter the promised land because they disobeyed the instructions of GOD. Balak sends for Balaam to curse the people of Israel but he ends up blessing them instead because he was following the word of GOD. The cities of refuge are cities that a person who commits manslaughter may flee to for protection from the family of the person who was accidentally killed. I enjoyed reading the book of Numbers. I too, enjoyed Numbers. I get excited when hearing that God cares about even the smallest of things, and listens to everyone's plea..in this manner..the women, or say tribe of Joseph concerning Manasseh's family with the girls and obtaining the land that was promised them. I am glad to see they listened and obeyed their Father God and married within their clan as to obtain and keep the land amongst "their"people. Now we are heading to Moses farewell speech in Deuteronomy, and even though it is sad, because no one likes to say goodbye to such a teacher, prophet and lover of the people and His God..which is awesome..he has some interesting "rememberences" to remember. He is recollecting their memory about their 11 day journey taking a detour for 40 years but he is also letting them see yet again how fortunate they are and blessed because of the journey and of God's love. We often get carried away and neglect to do the things that God ordered us to do and we wander around in the "dark, or the wilderness" sometimes when we don't necessarily have to. However, it is in these times, that we grow, we mature, and we learn to "Be still, and know that I AM GOD". Ps 46:10. We have to cut out the noise, cut out the murmuring, the complaining, the tv, the internet, the busyness in our life and come thirsty, and panting for the very "breath of God" for His existance and cling to it with all our heart! !Ps 42:1 then do we truly have freedom and success in our life! What can I say about these scriptures today, I know one thing that draws a nerve..the Pharisees, the Pharisees, the Pharisees..They were always around, moping, lingering, "not" doing the Fathers business", I can't even believe there was "disciples of the Pharisees" I mean come on..what were they getting disciplined in?? anyway, let me get off that soap box!! 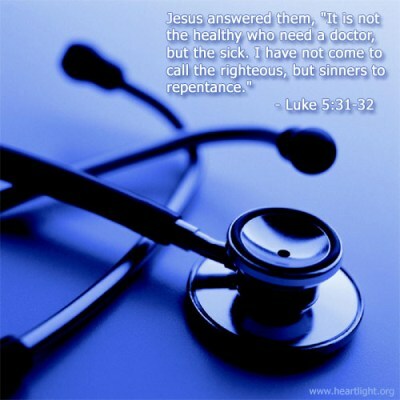 I love the verse 31 and 32 from luke 5, that Mike commented on also above..Jesus answered them, "Healthy people don't need a doctor--sick people do. I have come to call not those who "think" they are righteous, but those who know they are sinners and need to repent." I so need Jesus each and every day..I couldn't imagine my life without my Saviour..I hope those reading feel the same way..I am so glad that Jesus calls the foolish of this world to confound the wise..praise God for that!! 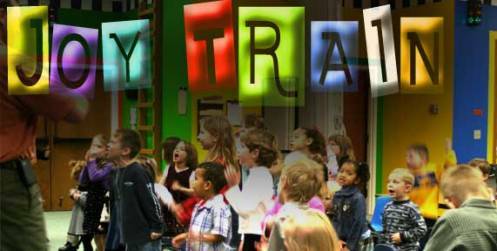 Praise God for listening to us! In Ps 66 at end of the psalm in 19 and 20..But God did listen! He paid attention to my prayer. Praise God, who did not ignore my prayer or withdraw his unfailing love from me! That would be my ultimate fear..the abandonment of Christ from me..I want always, for Christ to be present. near me, listening to me, and being my comfort and shield, a very present help in my time of need!! I always want to draw near to Him and curl up in His arms and stay there for eternity..Thank You Jesus! I love YOU DADDY!! I truly believe and give thought to that verse..Prov 11:24 Give freely and become more wealthy; I or should I say we at my church..several of us go out in the outreach on several Sundays in the month and give food, clothing, but lots of times, hugs is the best gift..its amazing how giving a very sincere, earnest hug is like medicine for the soul! Some of the less fortunate receive it with such a full heart and it's like for that moment, that time, all of the cares and worries are melting in your arms..That is what I get such fulfillment in because to me that is the very image of Christ and His love in our heart and to the community and it is in these moments that I feel the closest to My Saviour when I am doing and going about My Fathers business.. Healthy or sick? Both! Righteous or a sinner? Both! Need Jesus? YES!! Everybody needs Jesus. Repenting daily! Jesus gives health, heals sickness; my righteousness is in HIM, I am a sinner, in need of repentance and most assuredly, in need of a Savior. HUGS!! Oh yeah! Family, friends, church family, sometimes someone who I see in need. At a funeral, hospital or accident scene. I always sign off my e-mail letters, text messages or greeting cards, HUGS!! So thats what I am sending all of you today. Love & HUGS! !